From formulation to production and packaging, there are a lot of people and moving pieces behind every beverage project. It’s extremely rare for everything to go as planned the first time around. But with each challenge, obstacle, or mishap, there is also learning. We’ve had the honor of helping to bring more than 1,000 new beverage products to life via their first successful production run. Solving challenges and overcoming obstacles is what makes our job at BevSource interesting and exciting. It’s also where we get the knowledge and experience that helps us guide others. Here are a few tales of some of the sticky situations and pain-inducing problems we’ve encountered and the lessons we’ve learned from helping our clients find success, even when things don't go as planned. You’ve invested in converting your kitchen recipe into a scalable, viable commercial formula, everything should come together effortlessly from here, right? Unfortunately, that’s not always the case. There are many factors that go into scaling your product successfully, starting with how you add and mix your ingredients. Mixing a 5-gallon batch of ingredients is different from mixing in a 2,000-gallon batch tank. You may need to pre-stage ingredients or pump or pipe ingredients to and from various parts of the facility. We worked on a beverage recently where an ingredient was initially being added too quickly, causing spillage, extreme foaming, and unnecessary liquid loss. Ingredient ratios, dilutions, and concentrations become more complicated as you scale. Using an ingredient in a larger quantity also affects how it behaves. Higher volumes impact heat transfer for heating and cooling processes. The end result can cause an ingredient that was stable and predictable in smaller quantities to throw off your large-scale processes and equipment. Ingredient ratios, dilutions, and concentrations become more complicated as you scale and change production from one piece of equipment to another. One of the more memorable projects we worked on involved an extract that was being mixed with a ratio that was initially too concentrated, causing it to clog the facility’s machines. Once we determined the exact blending instructions for a higher water ratio and more cycles of blending, the lines were clear and blending the formula was more efficient with lower loss rates. Working with experienced formulators and food scientists to develop your commercial formula can help you avoid potential issues. Pay attention to warnings or recommendations related to how ingredients might behave in different scenarios. Take a project we recently worked on that included a high impact allergen that required special gloves, masks, and facility cleaning before and after production. That information will prove invaluable as you make decisions about potential changes and adjustments during production. The more you understand your ingredients and the production process, the more flexible and creative you can be when it comes to scaling. If you have ingredients that are new to you or that your co-packer doesn’t have a lot of experience working with, reach out to the supplier and your flavor house to discuss the best method for batching. Batching can take several trials, but when you take the time to slow down and improve your process at the beginning, you can expect fewer mistakes in the long run. If you build a pilot run into your timeline and budget, you can further reduce the risk and guesswork. Don’t assume that a process or test will be performed the same way across facilities or that the results will be of the same quality. There have been times we have relied on a facility’s ABV testing only to find out via additional 3rd party testing that the original equipment wasn’t as accurate as we required. This resulted in the ABV measurement being off by a significant amount. At that point, we had to re-blend the liquid to bring it back into spec. ABV isn't the only spec that can be affected by this issue in the past. We have seen inconsistencies with other vital specs, such as CO2, pH, and brix levels. Don’t be afraid to collect and send out samples for additional testing and verification. Another situation we have seen is with tunnel pasteurization not reaching the specified time and temperature laid out by a process authority, thus compromising the finished product. 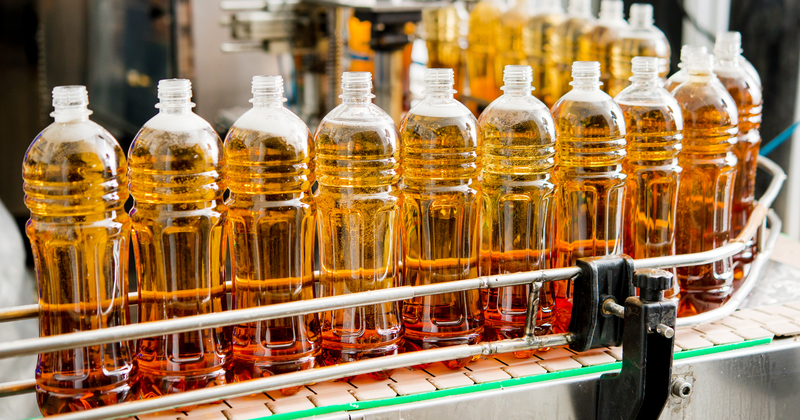 Be sure to have at least a basic understanding of the manufacturing processes and tests that will be required during the production of your beverage. Ask questions of the facility you’ll be using and do your research to vet their reputation and uncover any known quality issues. Don’t be afraid to collect and send out samples for additional testing and verification. The best solution is to get a process authority for your formula and processing method. This can be expensive to obtain, but a process authority shares the recommended process so that a facility can achieve the pasteurization your beverage needs. Investing in a process authority means you don’t have to worry about microbial spoilage because the manufacturer can confirm that they can follow the process you need. This ultimately gives you the ability to hold all parties accountable for following the processing method instructions. It is also important that you take the extra step while onsite at production to validate with the quality team that the processing instructions/process authority is being followed. It’s always best to reconcile the inventory of materials and end product on a regular basis to properly track product movements, prepare accurate forecasts, and respond to demand. A simple miscount or mis-categorization can throw your numbers off and leave you unprepared for the future. Tracking your inventory can also help alert you to a discrepancy in an agreement, or a facility or vendor who is not following best practices. For example, in one instance , our count didn’t match up with the reports we were receiving from a facility, no matter how many times we checked. After digging into the issue further, we discovered that best practices were not being followed and our beverage ingredients were being used for another one of the manufacturer’s customers. Keeping tabs on your inventory can also alert you to incorrect batching, where too much or too little of an ingredient is being used. Track and validate inventory on a monthly basis. When things don’t line up, you will see it reflected in your numbers and you can have a straight forward, data-backed discussion with the appropriate parties to clear up any issues. Also, when you’re onsite for a production run, it can be beneficial to add a day on to your visit to perform a manual audit, if the facility will allow it. We work with some of the most experienced co-packers and package designers in the industry and we have still seen almost every issue when it comes to product packaging. We’ve seen the wrong ends put on cans, the wrong beer stream filled into the wrong bottles, and UPC labels flip-flopped between products. One time we saw cartons come out blank on one side, not because the artwork or printing was wrong, but because the boxes were assembled incorrectly. Double, triple, and quadruple check your artwork every time. Double, triple, and quadruple check your artwork every time. Be present for the first production run and try your best to anticipate what might trip you up during design, printing, or assembly. Formulate a few backup plans or ideas for how you could pivot or source additional packaging quickly if an issue does arise. You can’t anticipate all of the issues that could arise during the production of your beverage. The best you can do is to research and understand as much as you can and to rely on the experience and guidance of your partners and vendors. Ask questions and communicate regularly. When you do run into trouble, remember to stay calm, analyze your options, and focus on proactive solutions.